Event Limited Dollfie | Dolls Party in LA 4 2019 | VOLKS USA, Inc.
Special Dollfie® that you cannot meet anywhere but here at Dolpa! 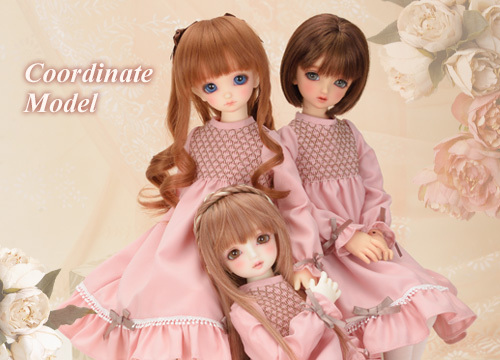 The Limited Dollfie® released only at "Tenshi-no-Sato", "Tenshi-no-Mado", and "Doll Point" in Japan will be here in the United States for the Northern America fans! Haven’t you thought "I wish they could be here! ", and now they are! Dear SD is a Super Dollfie® model which has a figure grew from toddler to child. You can’t stop hugging their lovely well-rounded body. Their bodies are genderless, an "Asexual Body", and have child-like fingers and feet. *The Dollfie® pictured are samples. Coordinate Models are Super Dollfie® based on the SDMidi size, which has a child-like figure with advanced movability and posing ability. This model comes fully accessorized with an outfit, wig, and shoes selected by Dollfie® Design Developing Team! *Each Dollfie® is available as one. Best Selections are Event Limited Dollfie® that have been released before and specifically selected for re-appearance at this Dolls Party in LA! With many requests from our Dollfie® fans, they travel from Japan to meet you again... Please give them a warm welcome into your home! 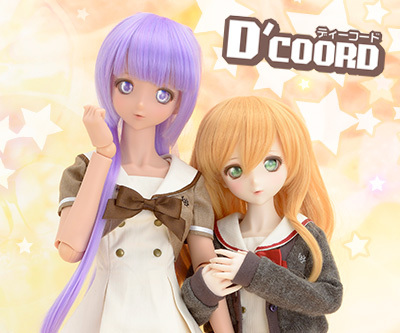 D’COORDs are Dollfie Dream® based on various combinations of sizes and skin tones with individual coordination; these one of a kind DD will also be presented in Northern America! Their coordination comes fully accessorized with an outfit, wig, and shoes selected by Dollfie® Design Developing Team! Because these special Dollfie® are limited in quantities, special lotteries will be conducted to decide who can purchase at the event! Please read the detailed information about the rules below. 1 Please fill out the entry sheet and drop it in the lottery box. 2 Lottery winners will be announced at the booth from around 12:30PM. 3 Please make the payment right after the announcement. 4 Welcome the Limited Dollfie® into your home! "Entry Sheet" will be provided one per person at the time of your admission. This lottery is conducted to select a winner to purchase the limited Dollfie®. It is not a gift. Winning entries are cancelled if the winners do not show up during the announcement. Any request to transfer their winning rights to a third party is not acceptable.